Make your baby's leisure time fun and comforting with this eye-catchy and sober 3 in 1 Baby Carry Cot. 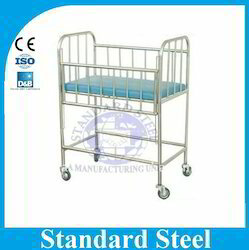 Apt for newborns and infants, thiscot comes with a canopythat protects your little one from unwanted light. The quilted cushion cover is gentle on your child's skin and keeps him comfortable throughout. The reclining seat can be adjusted to different positions and caters to your child's needs. 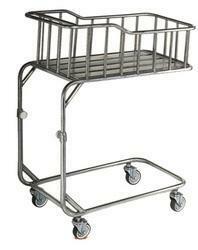 Double cot with MS steel top. Head bows and Foot bows. Rubber feet supports. Provision for mosquito net poles. Pretreated and powder coated.